For the past decade we have been dealing with the politics of foreclosure. The law of foreclosure has been pushed to the curb because of political decisions. Out of abject terror and total confusion the rule of law has been abandoned in favor of not angering the beast that brought ruin to millions of families. We can help evaluate your options! • He who does not deny, admits. A well-known rule of pleading. • He who flees judgment confesses his guilt. • He who is silent appears to consent. • He who is silent does not indeed confess, but yet it is true that he does not deny. • He who is silent is considered as assenting, when his interest is at stake. • He who is silent is supposed to consent. The silence of a party implies his consent. • He who says all excepts nothing. • He who says all excludes nothing. • If the written law be silent, that which is drawn from manners and custom ought to be observed; and, if that is in any manner defective, then that which is next and analogous to it; and, if that does not appear, then the law which Rome uses should be followed. This maxim of Lord Coke is so far followed at the present day that, in cases where there is no precedent of the English courts, the civil law is always heard with respect, and often, though not necessarily, followed. • It is the same thing to say nothing, and to say a thing insufficiently. To say a thing in an insufficient manner is the same as not to say it at all. Applied to the plea of a prisoner. • Let service expressed rule or declare what is silent. • No one is obliged to accept a benefit against his consent. But if he does not dissent he will be considered as assenting. • That which silences claims. • The law forbids not many things which yet it has silently condemned. • Things silent are sometimes considered as expressed. • To commit, and not to prohibit when in your power, is the same thing; and he who does not prohibit when he can prohibit is in fault, or does the same as ordering it to be done. • To conceal is one thing; to be silent is another. John Pilger delivering a talk on the current political situation in South Africa in Cape Town. An analysis of South Africa’s new, democratic regime. In early November, the organization Moms Across America launched a nationwide campaign to finally ban glyphosate herbicides in every state in America. Moana Jackson: Why Did Maori Never Have Prisons? At present, New Zealand has the second highest rate of mass incarceration in the world (after the US) – with the majority of inmates identifying as Maori. In the following presentation, Maori constitutional lawyer Moana Jackson makes the case for abolishing prisons. He cites the example of Norway, Finland and other Scandinavian countries, which decided decades ago that prisons were unsustainable and ineffective in reducing crime. In Norway, prisons are being replaced by open “habilitation” centers. In Finland, the number of prisons has been reduced from 100 to 20. The latter have mainly been replaced by mental health treatment centers. Plenty of proof exists … so what’s next? 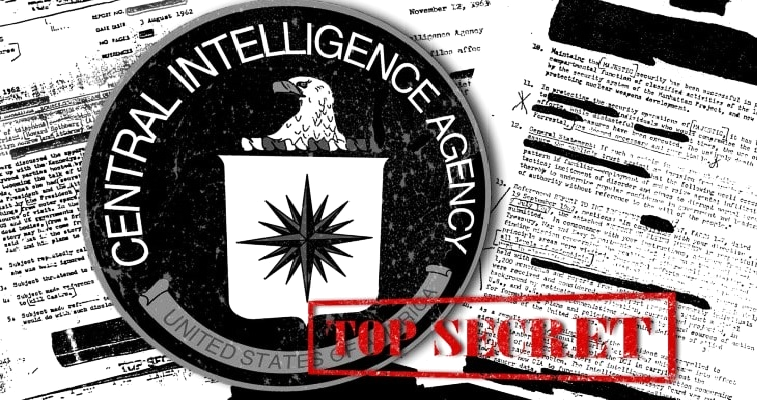 Declassified files are useful in a world where truth tellers and open-minded investigators are shut down, censored and accused of being “conspiracy theorists.” Our world is fast becoming a digital censorship grid, where corporate technological behemoths like Google (who own YouTube) and Facebook rig algorithms (which control search engine results and news feeds) to elevate the information they want you to see and bury the information they don’t want you to see. Amazon too is part of this emerging multinational corporate technological oligarchy, and you may remember they have been caught censoring books in the past (such as No One Died at Sandy Hook by Jim Fetzer) by forbidding them to be sold on their platform. One of the richest and most sinister elitist families in the world is being exposed by mainstream Russian television. 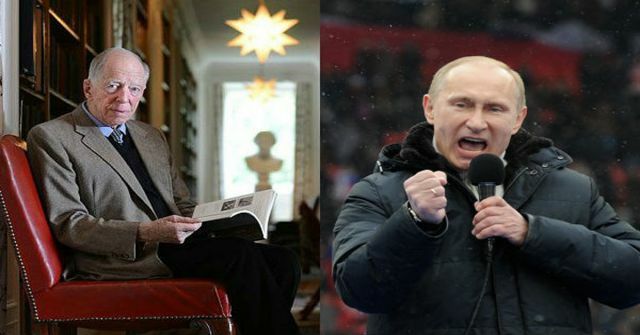 The infamous Rothschilds, known as one of the richest and most powerful families in the world are now being scrutinized by Russia, with the hope of revealing the corruption that has poisoned geopolitics, like a thriving cancer. Rumors surrounding the Rothschild’s connection with the ‘New World Order’ have circulated for years and the fact that they are connected to so many different governments means their conflict of interests cannot be ignored. The Rothschilds’ power in the world governments can also no longer be denied or dismissed as a conspiracy. While the mortgage or deed of trust on the primary mortgage carries with it obligations to pay variable sums, the promissory note does not, which is why judges treat the note as a negotiable instrument if it is valid on its face. It is suggested that 99% of humans now have artificial life growing on and inside their bodies. Details in the ‘Nano Dust’ video below. Doreen. above~he is being “chipped”seems happy enough about it? A Platform for the Decentralized AI Economy SingularityNET, an OpenCog-affiliated project, is a free and open market for AI technologies, built on smart contracts. It allows for the creation, combination, and monetization of AI technologies at scale. OpenCog is proud to be a part of this new open, decentralized marketplace for AI. And what might the “Singularity” be? Transhumanism, of course. Do you consent to A.I. taking over? Say what? A.I. trading with A.I.? Yes, every corporation, military etc. is developing A.I. “to work for them?” And, they think that A.I. is controllable? These Transhumanists believe that digital immortality and an artificial world is the “next step of human evolution”. November 19, 2017 “Information Clearing House” – It is often hard to tell how close popular movements are to success or whether they are even a threat to the status quo power structure. Despite vigorous protests, it is common to worry whether or not movements are having an impact. One tell-tale sign is when government and big business interests take action to stop or silence a movement. These days, there is a lot of push back against resistance movements in the United States. While it may be riskier for us when they fight back, it is a positive sign and means that the movement needs to escalate, build power and increase its pressure. The new regional force set up by Paris, the Sahel G5—comprising Burkina Faso, Mali, Mauritania, Niger and Chad—carried out its first operation, code-named Haw Bi (“Black Cow”) from October 27 to November 11 in the border region between Mali, Burkina Faso and Niger. The G5 force operated in coordination with French troops and the MINUSMA, the 12,000-strong UN peacekeeping force in Mali. It carried out patrols aimed at ethnic Tuareg or Islamist fighters hostile to Paris and the Malian central government in Bamako.